We wish to remind you that an appropriate wardrobe, especially in our “a la carte” restaurants, will help to create a nice atmosphere for all our guests. In this respect please avoid at all times after 18:30 hours to wear any kind of beach clothes in the bars and restaurants of the hotel. It is allowed at night time to wear in the restaurants knee shorts pants (bermudas) for gentlemen´s. Shirts must be with sleeves. Thank you. 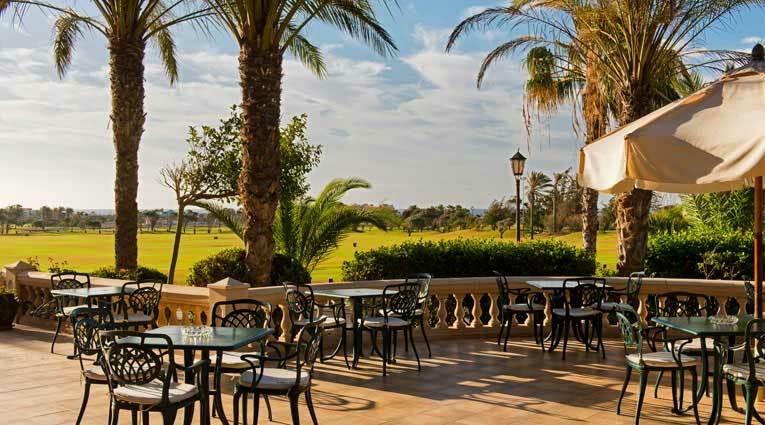 An A la Carte restaurant, with a covered and open dining area offering relaxing views of the gardens which form part of the golf course and encircle the hotel. 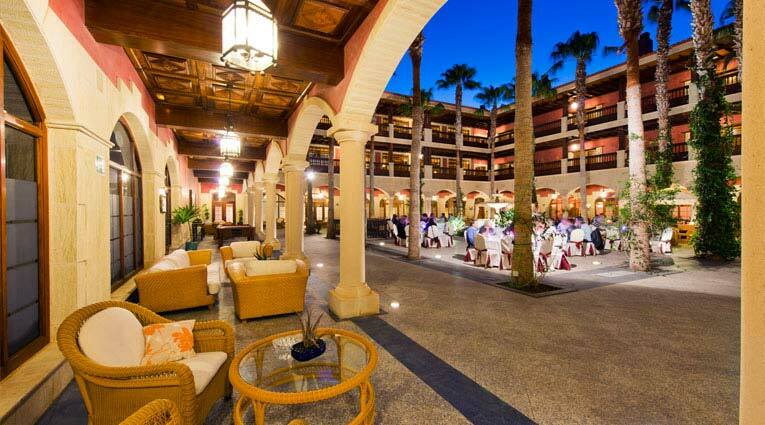 Plus, in the interior Canarian-designed patio, you can enjoy an a la carte meal or exquisite buffet under the stars, accompanied by live music and more than 300 wines from the extensive bodega. 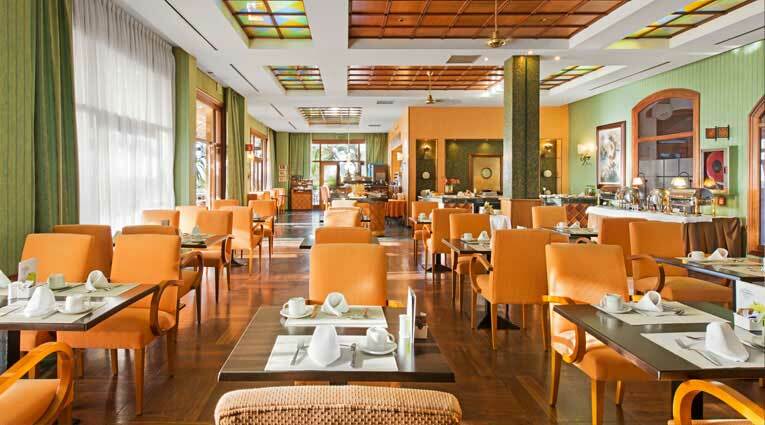 An exclusive section Vital Cuisine offers a selection of dishes made from healthy and nutritious ingredients. 2 weekly themed dinners. A more informal restaurant and dining space, with great views of the golf course, sea and the landscape of the island. There are a wide range of dishes available at whatever time of the day, Tapas, Snacks and fresh wholesome salads and also a delicious hot and cold buffet which ranges from varied salads, pasta, traditional rice dishes and typical Canarian cuisine. With more than 300 choices of wine from the best Spanish and international wine, and an impressive collection of more than 1,000 brandies available to be tasted. 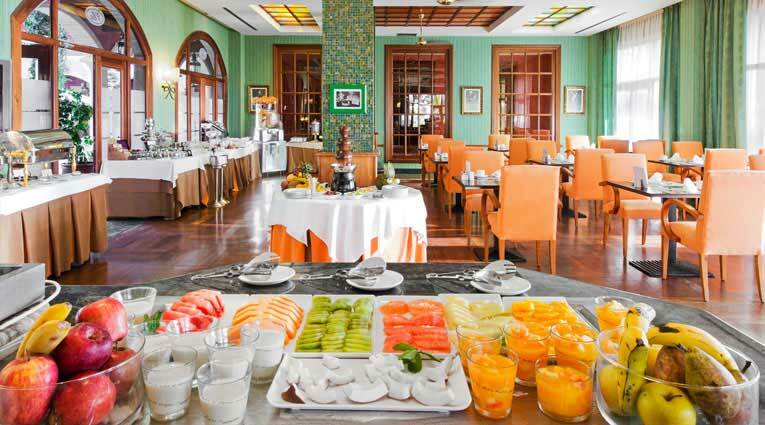 All of which are housed in the correct environment to be enjoyed alongside some exquisite Canarian delicacies. 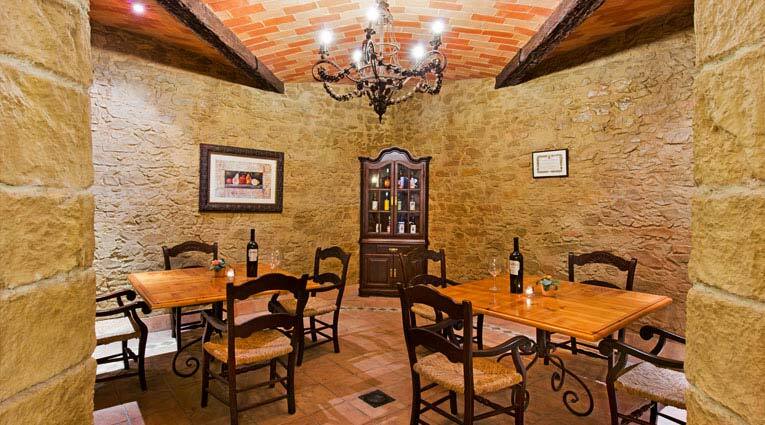 La Bodega offers a wine by the glass menu and local cheese tasting.